The village at Ballinascarthy grew up on the borders of the townlands of Madame and Ahaliskey, influenced by the growth of an extensive commercial milling industry. Sweete who owned one of the mills (now Sean Dineens) was a Cromwellian grantee and in addition to the mill, built a row of houses on the road towards Shannon Vale (present day MacCarthy, Hollands etc.) to house his workers. The village nucleus was also enhanced by a coaching stop, replacing the one on Change Hill in Tullymurrihy when the new line of main road from Bandon to Clonakilty was built in early 1900s. Travellers and millers are of course renowned for their thirst. Therefore itâs not surprising that the village contained not just one but two public houses until recently. The census of 1841 shows that the âtownâ contained 28 houses, and had a total population of circa 140 people. The Big Cross (Battle of Ballinascarthy) just to the west of the village was the scene of the only action of the 1798 rebellion to take place in Munster. A force of rebels from the locality under Tadhg an Astna OâDonovan attacked an English yeoman regiment, but were defeated with losses of up to 100 lives on the Irish side. Exact evidence of the scale of the Great Famine in the area is sparse, but the effect must have been considerable. It was at this period that John Ford left his small holding in the townland of Madame and emigrated to the U.S.A. where his grandson Henry established the Ford Motor Company. A fall from a horse on his father Williams farm in 1872 at just 9 years of age inspired Henry to develop a more reliable form of transport than animal power. The local G.A.A. playing pitch is named in memory of the emigrant family and in recognition of their financial support. In the heart of the village sits a replica model of the famous Ford Model T. The model T was introduced in Ireland in 1910 and within 2 years made Ford market leader in Ireland. 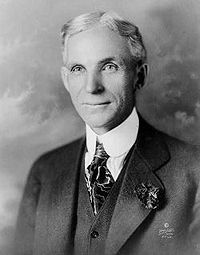 The photograph of Henry Ford 1 was taken circa 1919. 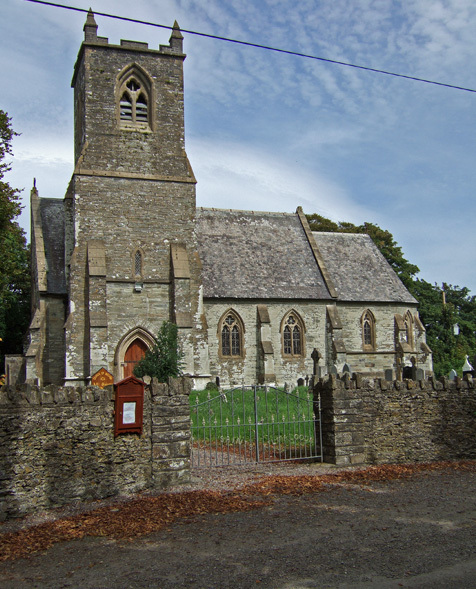 The locality achieved national notoriety in 1880 with the widespread publicity given to the successful boycott of the local landlord, Bence Jones. The boycott was organised by the local branch of the Land League. The resolute defiance of the local tenants and village shopkeepers, who refused vital supplies to the local estate galvanised national spirit and morale just at a time when the national cultural revival was starting. Life then also had a lighter side as reflected in the lyric of the song âThe Bold Tenant Farmerâ which was composed to celebrate the occasion and continues to be sung nationally. An interesting link with that period is that Denis Walsh, a founder member of Ballinascarthy G.A.A. club in 1945 is a grandson of âthe wife of the bold tenant farmerâ. 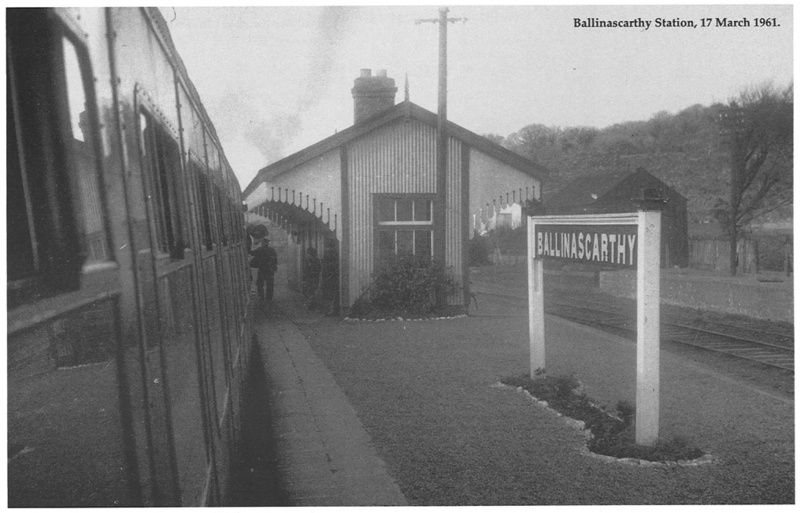 The opening of the railway link from Gaggin to Clonakilty saw the opening of the railway station in Ballinascarthy in 1886. 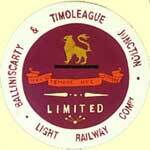 A further link to Skeaf and Timoleague was provided in 1890. The railway station and the opening of the Creamery made Ballinascarthy village the main centre of commercial activity between Bandon and Clonakilty well into the 2nd half of the twentieth century. It is sad to relate that the last passenger train stopped at the village station on Good Friday 1961. In the annals of railway historians the closure of the Cork Bandon and South Coast Railway line ranks as the 2nd greatest travesty in Irish railway history, second only to the much cited closure of the Harcourt Street line from Dublin to Bray in 1958. In the first half of the 20th century much of the social life and recreational life for the young at heart took place at Wagners Hall located beside the Calnan family home. During the long Summer evenings particularly on Sunday nights huge crowds gathered at the platform at Pedlars cross to enjoy an evening of dancing to the music of a ceili bands or well-chosen gramophone records. The building of the Patrician Hall, in the village centre as it was known at the outset, a project spear headed by Pete Kingston which was opened in 1961 soon became the focal point for all meetings and social activity in the area.